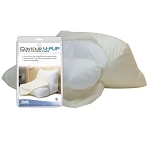 Caregiver Products is proud to offer sleep comfort and support solutions from Contour Products, Inc. Enhanced, complete multi-functional extra-wide wedges for positioning. 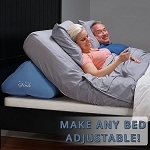 Soft, durable pillow case form fits to the pillow to help protect it. Position in a variety of ways for comfortable sleeping! Combination ring cushion, sitting wedge positioning cushion and coccyx relief cushion. Soft cover with elastic straps can be easily removed for washing. Protect your Flip Pillow with a custom pillow case! Full size wedge with soft velour cover. 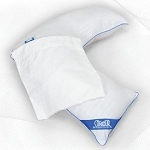 Protect your investment with a custom fitted cover for the Contour CPAP Pillow.